Tonight: Turning cloudy. Maybe a shower or t’storm. Lows in the mid 50s. Sunday: Mainly cloudy. Showers. Cooler. Highs in the mid 50s. Monday: Some drying and clearing throughout the day. Highs in the low 60s. After a warm start to the holiday weekend, temperatures are about ready to take a significant tumble. High temperatures on Saturday reached the mid and upper 80s throughout most of New England. A backdoor cold front will move through dropping temperatures by 30 degrees heading into Sunday. 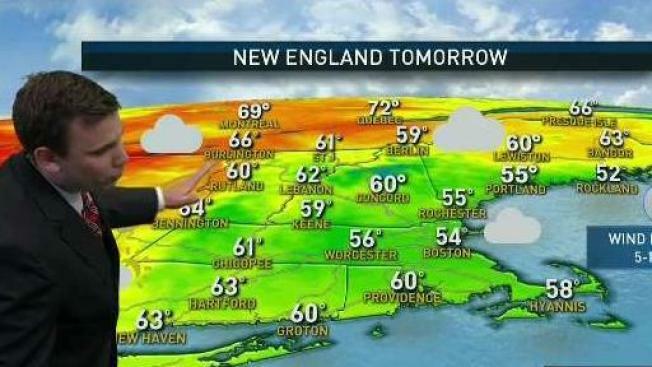 Sunday will be cool, mainly cloudy and showery. I don’t think we will have enough wet weather to cancel your outdoor plans, but it will be a raw day in general. I would not recommend heading to the beach. Monday, for Memorial Day, the weather improves slightly. It will be a little less chilly and a little less damp. Skies will tend to stay mostly cloudy for most of the day. The warmth holds off for one more day. Tuesday, Wednesday and Thursday look warm and a little muggy. All three days will feature sunshine and warmth! Highs temperatures will likely reach the 80s once again. Tonight: Turning cloudy. Maybe a shower or thunderstorm. Lows in the mid 50s. Showers may return to close out the week and start the weekend. Fingers crossed it won’t be a similar set up to the weather we have around this weekend. 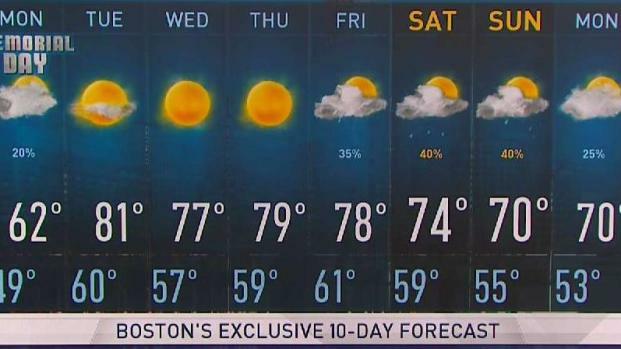 At this point, stay tuned and stay with the NBC 10 Boston and NECN weather team.